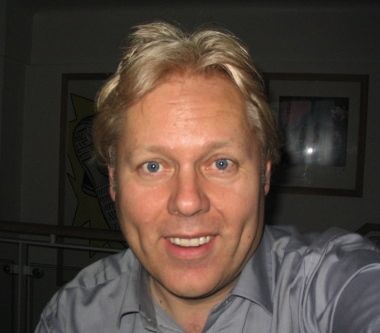 I am Russell Clarke, an English writer and music historian, specialising in telling the story of rock and roll through the places and dates where and when it all happened. I’ve lived in London since 1979 so not surprisingly I tend to specialise on London. As the Rock and Roll Routemaster, I’m a regular contributor to BBC Radio London’s Robert Elms Show and to National Public Radio in the United States. 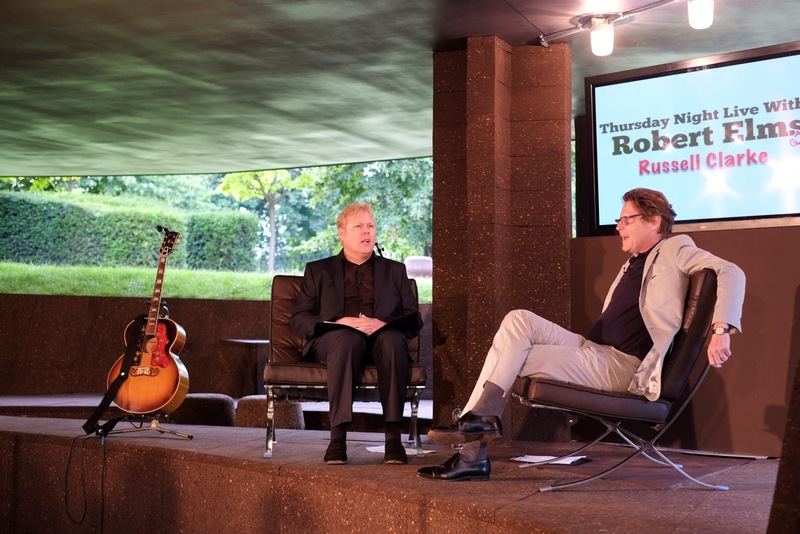 In July and August 2012, in between the torrential rainstorms that made up our summer, Robert took the show outdoors to a live audience in the gorgeous surroundings of the Serpentine Pavillion in Hyde Park and I appeared at a couple of the shows. I attended Queen Elizabeth’s Grammar School, Blackburn and later Westfield College, University of London, where against all expectations I managed to get a Bachelor of Arts degree in French and Classics. Since graduating I have enjoyed a long, reasonably lucrative but not very rock ‘n’ roll career in sales and marketing. My father’s family are from Kensal Green, north west London so I’m Queen’s Park Rangers man and boy and a season ticket holder – through the ups though mainly downs – since 1983. Sitting two rows behind me since 1990 has been Robert Elms and more recently his son Alfie. If there’s an away game, the three of us, plus mate Bobby Cappa can usually be found in my VW Golf on the way to the ground. Manchester Utd? Got home at 4 in the morning. Chelsea? Won one-nil! Oxford pre-season? Went to the wrong stadium. Stevenage? Been there and met the World’s Most Inhospitable Landlady at the ironically-named ‘Our Mutual Friend’. Feel free to drop me a line if you’ve enjoy6ed any of the stuff I’ve done on the radio. I’m really looking forward to your P.J.Proby interview this coming Wednesday,28th January. He’s a singer who should be classified as a Living Legend & one day that will surely happen. For us Proby fans he already is! Hiya Russell. How can I get to hear your piece on Scott Walker on Elms show? Hi Russell, I’ve just read your history and noticed your family are from Kensal Green. Just thought it was a coincidence that I lived with my family in Portnall Road, Kensal Rise when I was a youngster. I enjoyed doing the phone conversation with you the other night. Warm regards. Alan (Alan Warner). Indeed. Dad born in Wakeman Road Kensal Green and went to Harvist Rd Juniors and Kilburn Grammar School. All those who also left KGS in 1951 still meet for boozy lunch once a year at the RAF Club in Piccadilly as most went into the RAF for National Service. Aunt married Uncle Sid, like me a mad Rangers fan, and they lived for 30= year on Oliphant Street in the Queen’s Park estate, where I visited a lot in my childhood as we bounced from RAF base to RAF base. I drove my dad and his still best friend Tony who he’s known since Harvist Rd Juniors round Kensal Rise/Green and Queen’s Park a couple of years ago, the first time either had been back in 40 years or more.